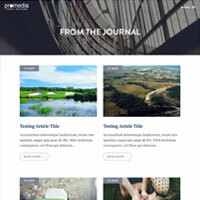 Promedia is one of Australia’s longest established and most trusted public relations firms. Since 1983 we have delivered effective communications strategies for hundreds of clients across a variety of business, government and community sectors. Together with our clients, we engineer campaigns that cut through the white noise, create the conversation and help generate powerful, tangible outcomes. Experience. It’s the difference between knowing what connects with people and just guessing. 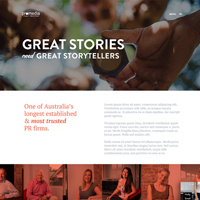 Promedia’s deep understanding of communications solutions, developed and refined over many years, has been at the heart of some of Australia’s most celebrated public relations campaigns. But experience is only part of the story – our success is built on a history of innovation and creativity across many different business, government and not-for-profit enterprises. After more than three decades we’re still curious, still up for the challenge. We continue to push into new fields, with fresh ideas to help our clients better connect with their audience. Jeremy has 25 years of corporate communications experience for clients in diverse fields including property, finance, public health, law, accountancy, engineering, tourism and government. He is an account director and strategist for national and international corporate clients. Jeremy has a particular focus on development and infrastructure and has directed numerous successful strategic communications, community engagement and consultation programs in Queensland, NSW, Victoria and Japan during the past two decades. Large-scale projects for which he has directed major public relations programs include the $1 billion Casuarina Beach and $1.5 billion Salt Village masterplanned townships on the NSW Far North Coast, the $650 million Casuarina Town Centre and the $1.3 billion Rise masterplanned community west of Tweed Heads. Prior to entering public relations, Jeremy held a variety of positions at major newspapers as a senior writer and columnist. He is a former assistant chief of staff at the West Australian and Sydney Daily Telegraph, senior feature writer for the Brisbane Sunday Mail and Australian bureau journalist with News Limited, London. He has served as an industry review committee member for Bond University’s Bachelor of Communications degree programme and maintains extensive and close media contacts throughout Australia and overseas. Paul is founder and former managing director of Promedia, establishing the company in 1983. With more than 30 years of senior public relations experience covering a wide range of industries and professions, he is acknowledged as one of Queensland’s most experienced public relations practitioners, with an envied client network and track record of success. Paul provides strategic counsel for a variety of Promedia clients, advising and co-ordinating their ongoing communications programmes in industries including property, tourism, marine industry manufacturing, aged care, the mining sector and local government community consultation. During his career Paul has successfully managed election campaigns at local and State Government level, organised major public events, provided strategic corporate communications counsel to a wide variety of companies and conducted media training workshops designed at providing companies and individuals with an understanding of the workings of the media. Prior to forming Promedia he worked extensively in the mainstream media both within Australia and overseas for more than a decade. Tanya has 15 years experience in the media industry, including more than eight years in corporate communications. She has headed campaigns for a diverse portfolio of clients including leading ASX-listed companies and private organisations across Queensland, New South Wales and Western Australia. Her clients cover a broad range of industries, including education, property and development, legal, health and tourism. Before joining Promedia in 2006, Tanya worked as a general news reporter at the Gold Coast Bulletin, covering numerous rounds including education and court. Sheree has more than a decade of experience in public relations, specialising in the property and education sectors. She is highly skilled in creating innovative and unique publicity strategies, and has managed numerous media campaigns, familiarisations, events and forums. She excels in research, report writing, media liaison and digital media. Sheree’s outstanding quality is her laser-like focus on client satisfaction, embodied by her personal philosophy of always going “above and beyond” in her work to exceed client expectations. Karla has worked in the media industry for more than 10 years and has represented an array of clients across a diverse range of industries. Since joining Promedia in 2011, she has managed full service communications programs for a long list of corporates and small businesses in the health, tourism and leisure, property and development, charity and retail sectors. Karla specialises in delivering integrated, creative public relations campaigns encompassing events, social media, corporate communications, brand amplification, strategic partnerships and media relations. Kimberley has 15 years’ experience in public relations, including five years of digital communications and has returned to Promedia to manage the social media marketing arm of the business. She has headed public relations campaigns for a diverse portfolio of clients including leading ASX-listed property development companies, five-star hotels and resorts, tourism bodies and private organisations in the education and health sector. She also specialises in community consultation campaigns involving stakeholder management and government reporting. With a particular interest in digital communications involving social media and blogging, Kimberley’s expertise is evident through her own social media channels that boast a combined social media following of over 100k. She is regarded as one of Australia’s most successful and influential “mum” bloggers and works with some of Australia’s leading brands. While Kimberley has a focus on health, fitness and wellness through her pages, she attributes her success to her corporate communications skills and experience. She is a firm believer that no matter in what industry a client works, the key to a successful public relations and/or social media campaign always comes back to the same foundation of effective communication. Dwayne has worked in the media industry for more than 20 years, including senior roles in both corporate communications and journalism. He has previously held the position of Media Manager at Gold Coast Health, the city’s billion-dollar public health service, where he was responsible for managing proactive and reactive stories, advising the chief executive on reputational issues and liaising with senior levels of government. He has also worked for a prominent Brisbane publicity firm whose clients included ASX-listed companies and leading private businesses. Most recently, Dwayne was a respected Senior Writer at the Gold Coast Bulletin where his ability to identify, source and deliver hard-hitting and emotive stories saw him receive the city’s top award for media excellence. Matt brings to Promedia almost 20 years of experience in media, corporate communications and marketing in both private and public sectors. He has held senior and leadership roles at corporate and government organisations of all sizes, specialising in education, tourism and lifestyle, international development and sport. These appointments included managing media and issues for the Queensland Education Department’s schools and other educational institutions. He also led Asia-Pacific corporate communications for a top-tier global project management firm working in the overseas aid industry, whose key clients included the Australian, United Kingdom and United States governments, as well as a range of charities, not-for-profits and businesses. Matt cut his teeth as a journalist at the Gold Coast’s major metropolitan newspaper, mainly reporting on general news, crime, real estate and entertainment. For several years, he was also Associate Editor at one of Japan’s leading tourism and lifestyle magazines and websites. Matt comes to Promedia after a three-year stint managing strategic media, communications and marketing for the city’s top official Gold Coast 2018 Commonwealth Games athlete training facility. At Promedia, he applies his wide-ranging experience and knowledge of the media landscape to developing integrated, strategic public relations campaigns that achieve real results for his portfolio of valued clients. Missy Burrell is a journalist and social media and digital specialist with more than 14 years’ experience in the Australian media landscape – including print, television and radio. She’s worked with many notable brands including 60 Minutes, Southern Cross Austereo, Endemol Shine, News Corp and Optus, in addition to university teaching roles and feature writing contributions. Missy prides herself on her dedication, attention to detail and sense of fun. She loves putting on her creative cap with clients to turn today’s content into tomorrow’s headline. Libby Brady has almost a decade of experience in television news media, and brings her passion for research and storytelling to the Promedia team. Libby has worked as a television reporter, presenter and producer for the Nine Network in Brisbane and on the Gold Coast, as well as prime-time newsreader for the Nine Network in Perth. She maintains an outstanding network of contacts in the media industry, has a keen understanding of news with a dedication to producing compelling and engaging content and prides herself on building and nurturing positive relationships with clients. Brittani has more than five years of experience in digital communications, office management, event coordination and project management. She holds a double Diploma of Business and Business Management and as Promedia social media manager is responsible for ongoing client liaison, social media content creation, strategy, reporting and account manager support. Brittani’s experience across a variety of business sectors ensures she brings a diverse range of skills to the client services role. Ali Hiddlestone has extensive experience in television and print media, marketing, public relations and advertising in Australia and overseas. She has worked as a journalist at the Manly Daily in Sydney and at the Gold Coast Bulletin, with her writing also appearing in major metropolitan mastheads The Daily Telegraph in Sydney and The Courier Mail in Brisbane. Ali has a Masters in Journalism from the University of Technology in Sydney and a Bachelor’s Degree in Media and Communications from the University of New South Wales. Dannielle has extensive experience across the media, communications and marketing sectors and has worked with the Nine Network, Network Ten and the Australian Broadcasting Corporation (ABC) to write and produce news and current affairs stories. She has a strong background in community and stakeholder engagement, having worked in promotions for Southern Cross Austereo’s radio arm, the Hit Network, and has run numerous activations and events for clients ranging across education, government, lifestyle and community sectors. Dannielle is a graduate of Bond University with a Bachelor of Journalism and Masters of Business and her work in both journalism and public relations has enabled her to develop a deep understanding of new and emerging trends in the media landscape. Sam offers extensive experience across the media and communications sector, having worked in both major national and boutique public relations agencies. He has delivered campaigns for some of Melbourne’s and the Gold Coast’s top-tier property and lifestyle companies and is a media specialist with a deep understanding of the modern media landscape. Sam’s areas of particular expertise include research, copywriting, media liaison, social media and digital marketing. Sharyn has been Promedia’s office manager since 2009 and is responsible for the financial control of client accounts. She brings a rigorous and diligent approach to the role, built on 30 years’ experience as an office manager and financial controller in a variety of industries including finance, law, insurance and fresh food. She holds a Certificate IV Business and is currently working on a Diploma of Leadership. Also holding a partial Cert IV in Training and Assessment and a full Cert III in Outdoor Recreation, Sharyn’s spare time is spent in a voluntary community role as an abseiling guide and instructor, as well as sea kayaking and bushwalking. Karen has 25 years’ experience in a broad range of communication and stakeholder engagement roles in the private and public sectors. She has worked for property, road, health, mining and water projects in Queensland where she has been responsible for the strategic development of ongoing communication and engagement programs, the organisation of community events, and the creation of a wide range of marketing collateral. She is a former senior stakeholder engagement consultant with global engineering consultancy Parsons Brinckerhoff, where she helped develop and implement community engagement plans for a range of clients in the mining, power, wastewater and development sectors (including BHP Billiton Mitsubishi Alliance, Ergon Energy, Anthony John Group and Xstrata Coal) to establish two way relationships with stakeholders, create engagement opportunities, build project awareness and understanding and enhance client reputations. In other engagement roles, Karen established a customer advisory committee for the former Gold Coast Water, was part of a consultancy team that sought stakeholder input for Gold Coast Water’s Northern Wastewater Effluent Reuse Strategy and was also part of the consultant team for the Pacific Motorway Upgrade between Logan and Nerang. The success of this road consultation program was recognised with a Public Relations Institute of Australia (Qld) Annual Gold Award for Community Consultation. Since joining Promedia in 2012, Karen has managed successful engagement projects for Gold Coast City Council including Artificial Dive Attractions (2012), Pest Management Plan (2013), Commercial Activity on Ocean Beaches (2014) and Free Seniors Travel (2014). At Promedia we pride ourselves on our low staff turnover. We want people who want to make a long-term commitment to our agency and clients. Are you enthusiastic, creative and hands-on? A great communicator with outstanding writing skills? Someone who thrives on being a self-starter within a team environment? You might be just who we’re looking for. Our work and relationships are developed on a simple set of core values that have held us in good stead over the years. Every business tells you that they put the customer first. And we all know that most of them don’t. Legendary client service is probably the number one reason for Promedia’s success over more than three decades. It’s why we still retain clients who have been with us from our earliest days. Our philosophy is: look after the client and the rest looks after itself. 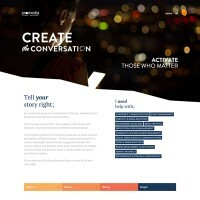 It’s what drives our constant commitment to finding new and better ways to help businesses, government and not-for-profits communicate with those who are important to them. Yes, we get process. We understand it’s necessary. We even have very effective systems for managing and measuring our client programs. It’s just we don’t believe process is more important than results. We work hard to ensure our programs and campaigns generate maximum bang for their buck – that our clients’ investment in their public relations generates tangible, meaningful results and outcomes geared to the direct success of their enterprise. You don’t last more than 30 years in the public relations business without some powerful guiding principles. Do what you say. Aim to overdeliver. Respect everyone with whom you deal. Be open, honest and transparent. Ask any of our clients or suppliers, allied professionals or the journalists we deal with on a daily basis – they’ll tell you, Promedia is the real deal. Since 1983 we have delivered effective communications strategies for hundreds of clients across a variety of business, government and community sectors. All rights reserved 2019. 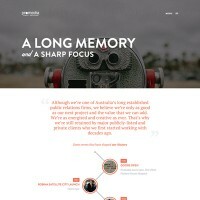 Site by Ply Creative.